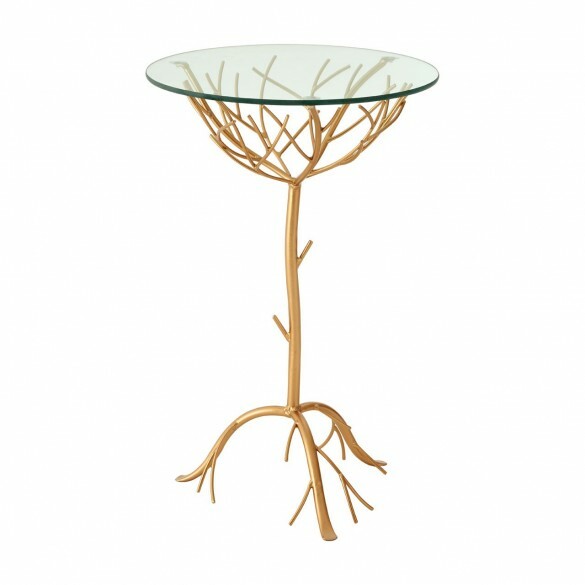 Made of iron, this table is designed to resemble a small tree. 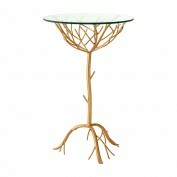 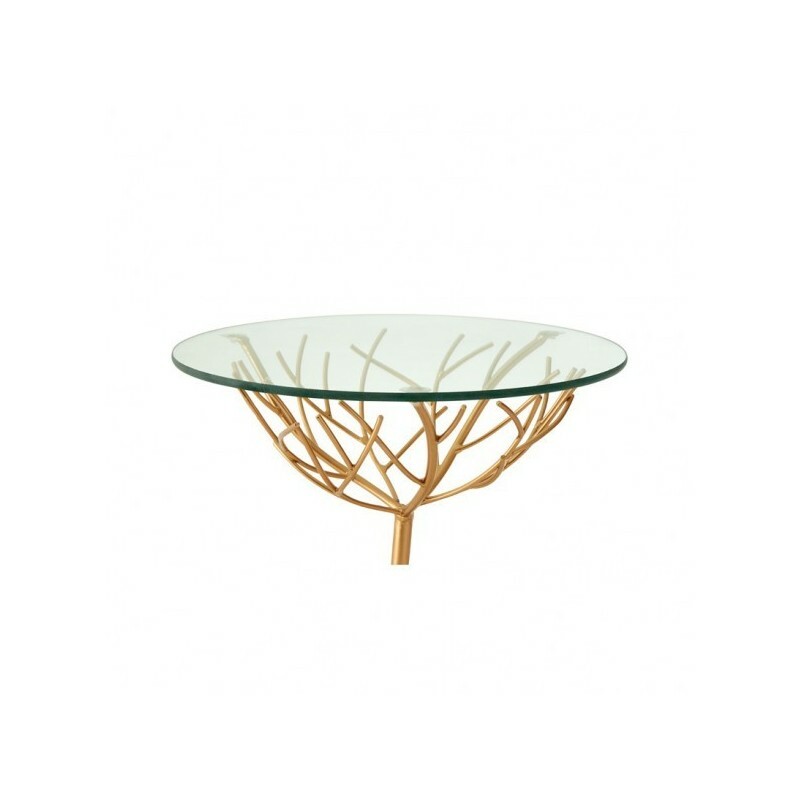 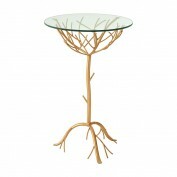 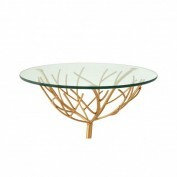 Resting on top of its branches is the tempered glass tabletop, held secure with four transparent suction cups. 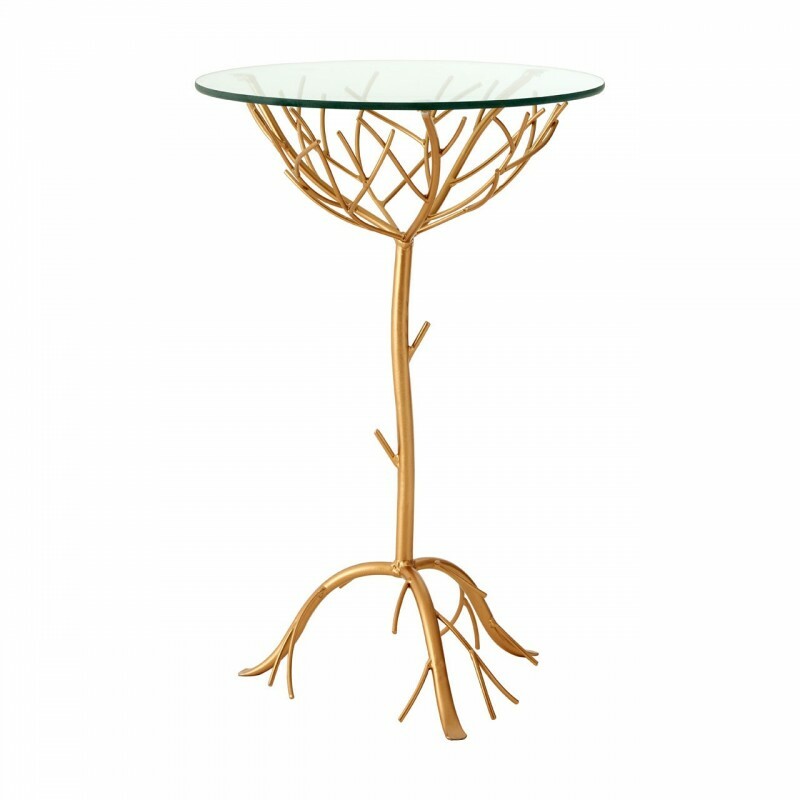 The branches that form the feet are slightly flattened, balancing the weight of the table and making it sturdier. 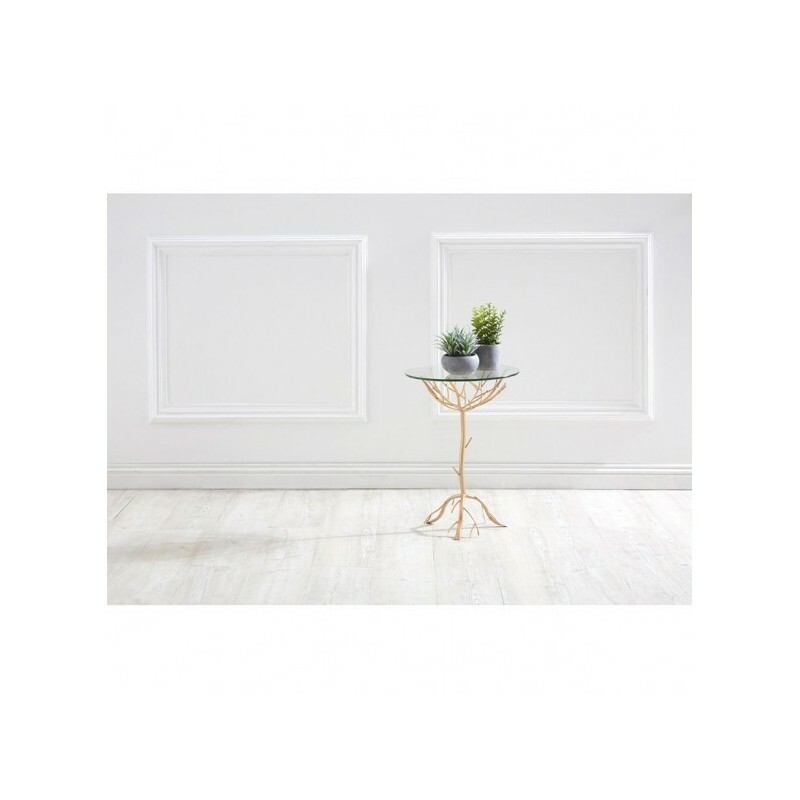 The frame of the accent table is rose gold, and its warm metallic hue is ideal for adding a touch of warmth to a neutral-cool colour scheme.